All of the above make our facility one of the best in Ireland. 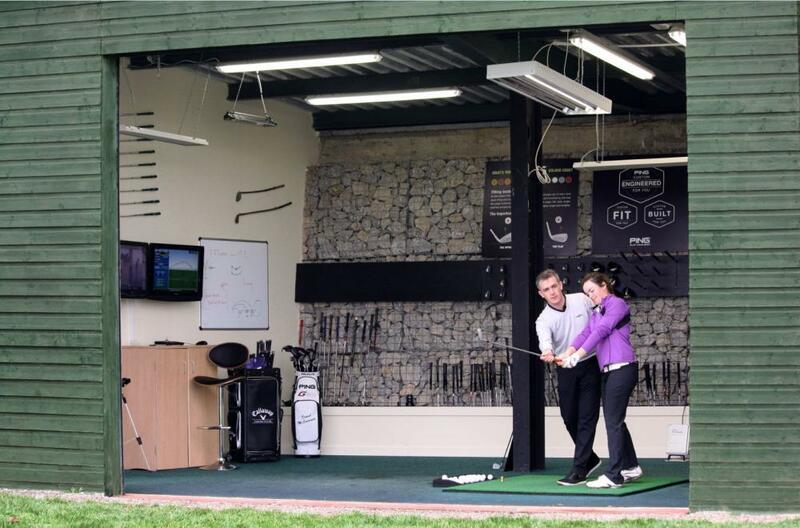 Our Private Custom Fitting Centre which allows you to hit balls onto the range which also operates in partnership with four of golf’s premier product brands; CALLAWAY, MIZUNO, PING and TITLEIST. Utilising either, TRACKMAN4 OR Flightscope Radar technology we have the ability to compare products ‘making sure you get it right’ and your golf clubs are custom-made for you at the manufactures' factory. All our GOLF PROFESSIONALS are fully trained Custom Fitters who regularly attend courses organised by the manufacturers on product and technical advancements. 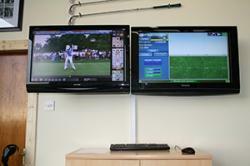 Coupled with their knowledge of the golf swing and coaching experience this makes the ultimate custom fitting service. Contact us for your custom fitting requirements. All our custom fitting takes place in our Private Swing Studio where you can hit balls onto our driving range with proper golf balls. This gives the vital information on where the ball is actually going and Trackman can track teh full flight of the ball. Yes most definitely. We track the golf ball with latest radar technology in Trackman4 launch monitor, which we began using in March 2017 and also a Flightscope, allowing our expert fitters to monitor every potential benefit to your game. Generally, no; we charge €50 for a fitting but this is deducted from the price of clubs you buy. We only charge the same amount for custom fit clubs as we would charge for a set of standard clubs, however, we tend to find when golfers are custom fitted they actually buy less clubs as we never sell them clubs they would not be able to use. Manufacturers may charge extra for certain grip or shaft options but you will be made aware of this before you purchase. Yes and No, we do charge €50 for a custom fit but if you purchase the fitting cost is free. Yes, we do have left handed clubs in our custom fit options; however, we would recommend you telephone the shop for availability if there is a specific club you are looking to try. Yes, of course, we fit ladies; we are extremely keen to look after all lady golfers. Because we test your old clubs first, we always have a reference as to the improvement from old to new clubs. The novice golfer will discover, before purchasing, which club combination works best for them. The advanced golfer will be able to fine–tune their desired feel and ball flight with precision. Not on new clubs, once we have custom fitted you, we take your details and email them to the manufacturer. The manufacturer then makes the set of clubs up specifically for you. Delivery time is approximately 5 to 10 days. If its a retro fit where we can adjust your current clubs to suit we will do this in our workshop. We would never custom fit online. If you can’t see and track the ball flight it is not possible to be fitted correctly. We would never custom fit in a Simulator. Our software follows the ball for its entire flight. All golf manufactures work to different standard specifications, therefore your spec only applies to the brand of equipment for which you are being fitted. We only use the correct fitting equipment for each manufacturer. If for any reason you are unhappy we are happy to spend the time with you to resolve and ensure you are happy with your new clubs. How do I book a custom fitting?